After giving tough competition to Jio, now Airtel India have became the first network to start 5th generation (5G) network within a country. Airtel have launched its 5G service in two cities in India, obviously one in Bengaluru, a silicon valley of India and another in Kolkata. 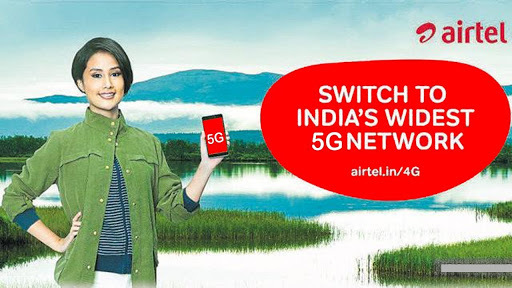 Airtel has just deployed Massive Multiple-Input Multiple-Output (MIMO), which has been claimed to be India’s first 5G capable network. Airtel have made this announcement under Leap network transformation program, wherein the network capability has been expanded by three to seven times, using the same spectrum. Meanwhile, government have shown a interest on 5G and said within 2020 whole nation will equipped and powered with 5G network. Moreover, government said Urban side of the country will get 10Gbps broadband speed and Rural part will covered with 1Gbps speed. Now this is glad to see that India is also included in the list of 5G network country. Want to say anything, speak in comments.